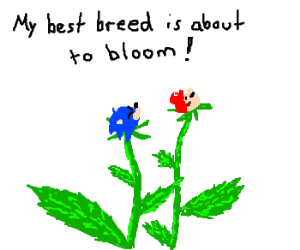 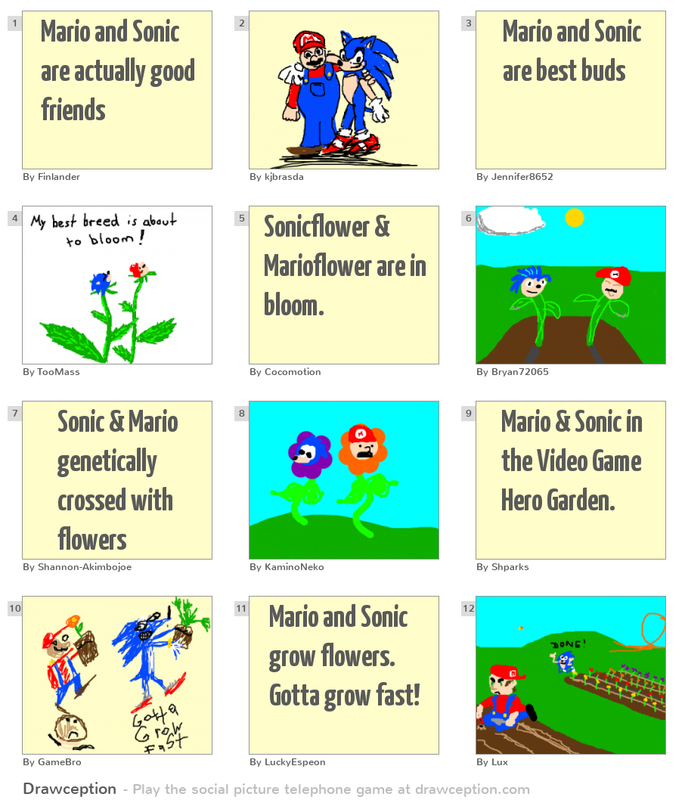 Sonicflower & Marioflower are in bloom. 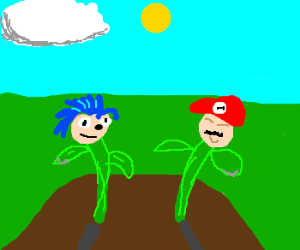 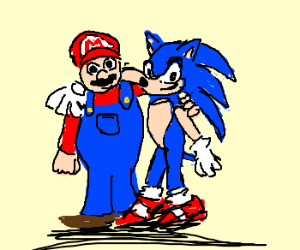 Mario & Sonic in the Video Game Hero Garden. 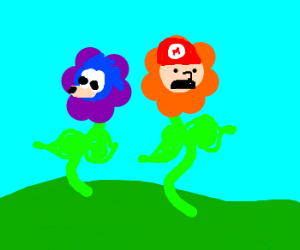 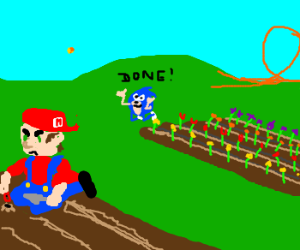 Mario and Sonic grow flowers. 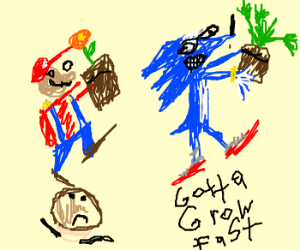 Gotta grow fast!